A highlight for car wash systems on a polymer basis and highly effective softpolish for the scratch-free depth maintenance of autolackets. Thanks to the new Multiflex system, the smoothness and gloss of older paints are also guaranteed. Grauschleier also prevents the use of hard water. Very suitable for biological water treatment plants. 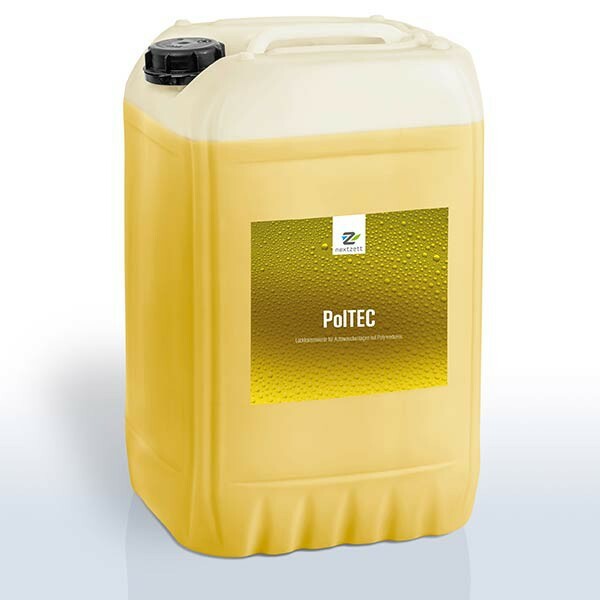 Nextzett - Poltec is a neutral but good preservative Pfegeprodukt waterborne. Mild surfactants and polymeric Pfege components ensure a good cleaning but also a sweating result. After the cleaning process in the first stations, using the foam generator with compressed air, the preservation product nextzett - PolTEC is diluted or applied directly to the vehicle in the textile portal or wash lines after the cleaning process. The applied plaster foam is then massaged into the surface with the textile rollers and then rinsed with fresh water. The already polished surface is dried using drying aid or hot wax. The substances contained in the formulation are placed on the vehicle surface and produce a shiny, water-repellent flutter on all surfaces. Degree of gloss and water bubble are increased compared to the conventional products. Despite several applications, no layers are formed or built up. (No graying defect). The lacquer attack in insect and pancake traps is reduced. UV radiation and age-related wear are minimized; The resale value of the vehicle increases with regular application. Pur via a metering pump (4 - 7.5 l / h) out of foam or direction of the nozzle strand. Pur via a metering pump (4 - 7.5 l / h) Spray großfächig. Improvement of conventional washing quality.